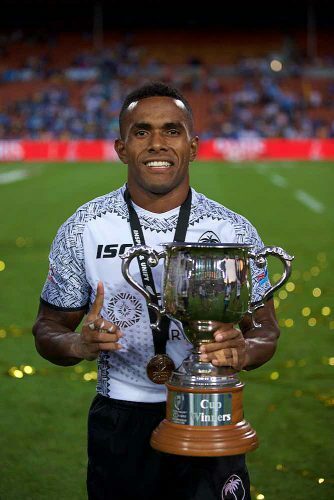 Fiji play USA in the final of the 2019 HSBC Sevens in Hamilton – New Zealand. Shot by Zoomfiji. They step where you don’t expect and unload to gloriously new frontiers with most runs, especially if your name is Kalione Nasoko, this man is carrying on where Pio Tuwai left off as the unload champ. 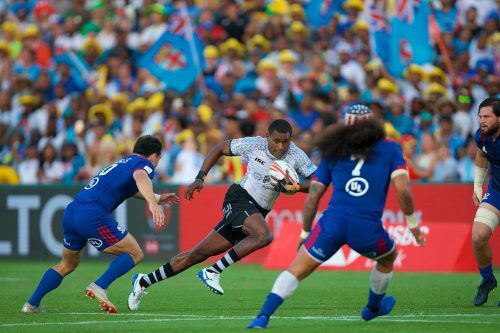 With Sevens it is 7 against 7 for 7 minutes, but to Fijians it is way way more than that and this game of 14 minutes ignites our nation. In this game we can compete with anyone in the world, dazzling them most of the time. As incredible as their display was on Saturday there was one thing that beat them in performance, our light Blue sea of flags and people. 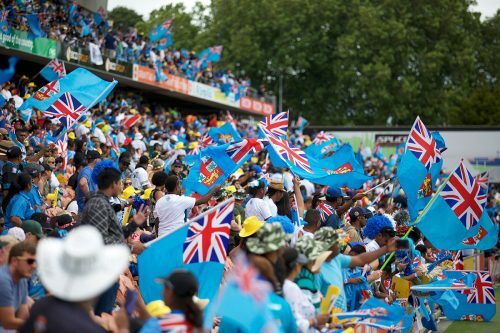 Hats off to the Fijian supporters, we may not be wealthy in a lot of ways, but the numbers came to support and their investment will be rewarded for a very long time in storytelling! Tournaments and entertainment this ruthless, yet entertainingly inspiring is rare and these amazing supporters I am sure helped make it happen. I solute our team on their talent shown and bow to this jovial army of supporters proud to say Fiji is home. All images Copyright © 2019 Zoom (Fiji) Ltd.